What makes me happier than wearing neon nails? Not a whole lot. What’s more fun than splatter-painting? Not a whole lot. I knew immediately I would gather my neon nail polishes and come up with an RA-friendly look for today’s prompt. Apologies on my skin tone in this picture. The neons spooked my camera! I started with 2 coats of American Apparel Neon Yellow as my base. 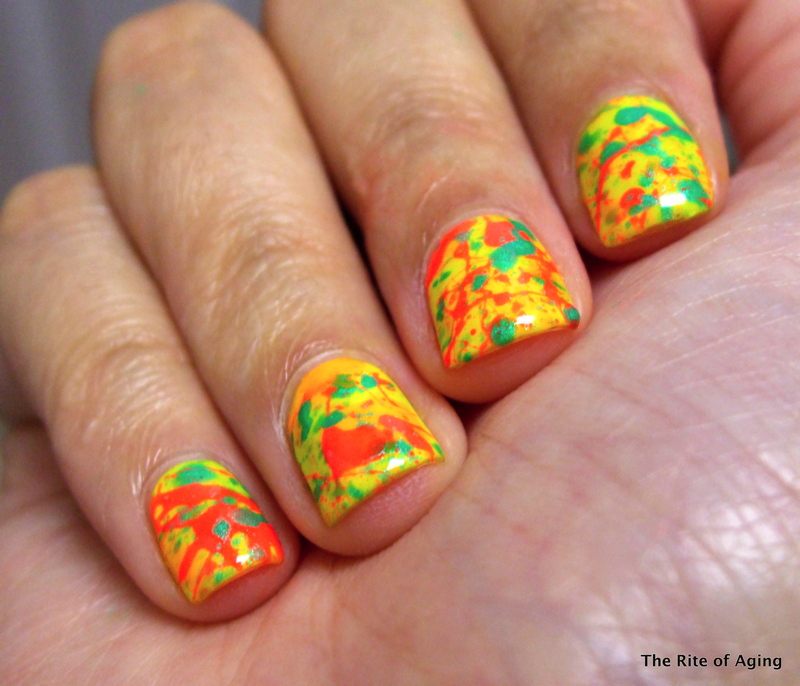 I splattered with China Glaze Sun Worshipper, In the Limelight and Color Club Wham! Pow! Don’t forget to check out the other happy manicures below! Seriously, they are some of the cutest looks I’ve ever seen! This look makes me happy too! So fun! Thanks Ali! I wish I captured the base yellow a little better. It is literally fluorescent! I haven’t done splatter nails in such a long time if ever. I’m embarrassed now lol These looks absolutely stunning. Thank you!! 🙂 Neons should come with a warning! Wow, love this look. Stunning!